If there's one person who's had the biggest influence on my style, it's my mom. Over the years she's dispensed many valuable pieces of advice and sartorial anecdotes to guide me as I've grown into my own sense of dressing. 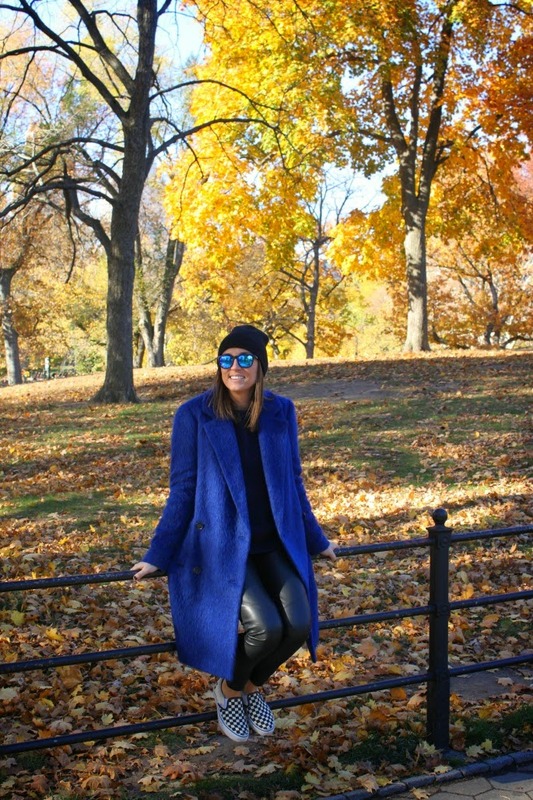 One particular thing that has always stuck with me, particularly in the winter months, is that you'll never regret investing in coats—and every woman should have a wardrobe of coats. Much like a great pair of shoes, a coat can make any outfit look much more pulled-together and sophisticated. Enter: The winter overcoat. I have a few coats to get me through these freezing New York City winters, but I've never been truly obsessed with any of them. (It's kind of hard to swoon over down, no?) All through the fall, I craved an update and an addition to my cold weather wardrobe. Back in October I stopped by the Tibi sample sale in Soho to see what I might find. I'm a huge fan of the brand, and wore two Tibi dresses (here and here) on repeat to all of my wedding events this past summer. As I browsed the racks, my eyes zeroed-in on this marine blue mohair coat. I slipped it on and it was all over—my coat game was forever changed. The great thing about this coat is that its foundation is totally classic—a menswear-inspired silhouette with wide lapels, a double breasted closure and deep pockets. It's not hard to find a coat shaped like this from a multitude of brands, often in neutral shades of black, grey and camel. However, when you add the element of a furry, bright blue fabrication, this coat feels totally fresh and modern. Best of all, it feels special. I have a feeling this will be one of those pieces I hang on to long after mohair is trendy, to pass on to the next generation. 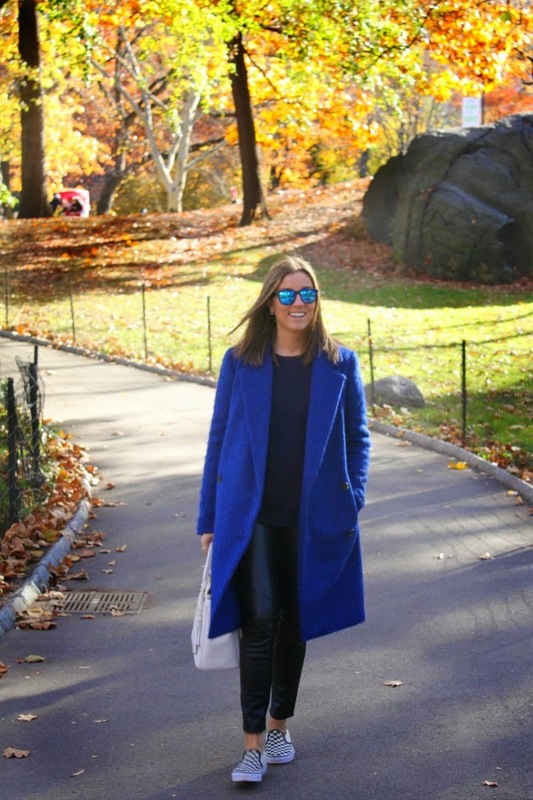 With a statement coat like this, I like to keep everything else I wear pretty simple. I went with another classic—my slip-on Vans—a crewneck navy sweater and my trusty vegan leather leggings from Paige. Check out more classic style here on StyleList, all inspired by the new Dodge Charger.